HOW CAN EPHA HELP MY ORGANISATION? EPHA supports its members in a variety of ways: by providing you policy and advocacy support, by offering different capacity building opportunities, by facilitating communications with key public health actors, by allowing you to be represented, directly or indirectly, at EU level, and by putting you in contact with a network of a hundred organisations. We promote and facilitate participation in the European policy-making process and in EU programmes for the public health community by offering capacity-building opportunities and support for cooperation and partnership, particularly to those working with disadvantaged groups and regions. We work cooperatively and constructively with civil society platforms and like-minded organisations to advocate more effectively for equity, transparency and good governance in European policies and policy-making. On request, additional support on a consultancy basis. Visit the Policy, Capacity building and community section to discover more benefits of EPHA Membership. We take on other projects according to our values and mission and in line with our campaigns: Action on Antimicrobial Resistance, Digital Health, Food, Drink and Agriculture, Healthy Economic Policy, Trade for Health and Universal Access and Affordable Medicines. Our horizontal priorities are included in everything we do, including, but not limited to, mental health, health workforce, complementary and alternative medicine, children and youth, gender equality, and reducing health inequalities by speaking up for health rights of people in vulnerable situations. actively participate in key European civil society alliances including: Social Platform, Civil Society Contact Group, Better Regulation Watchdog, Health and Environment Alliance (HEAL), Mental Health in All Policies Alliance. In 2015 we also joined the Semester Alliance and Green Budget Europe. 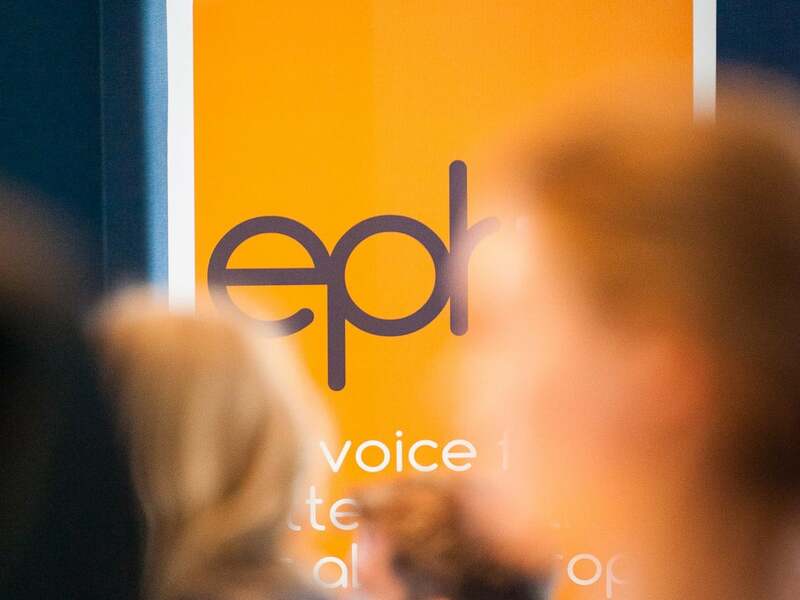 Event organisation, promotion and logistics using EPHA’s outstanding track-record of hosting tailor-made events to communicate your messages in Brussels.